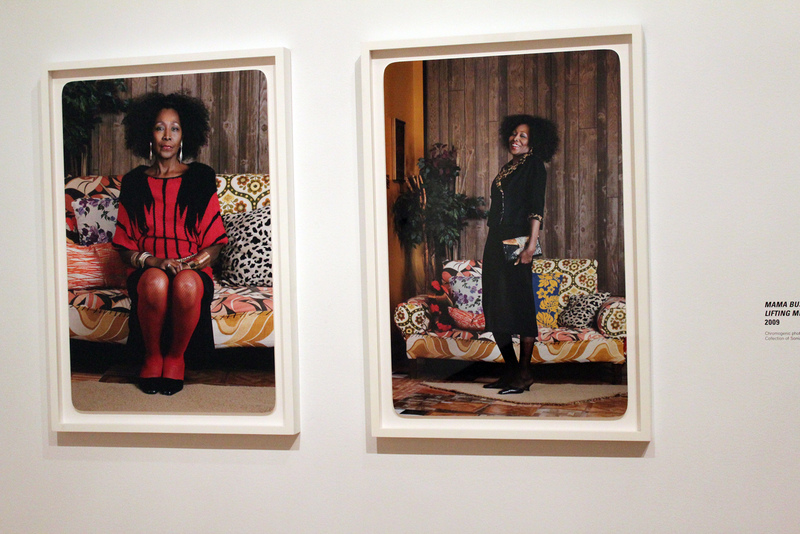 Brooklyn, NEW YORK—Mickalene Thomas has made her mother proud. 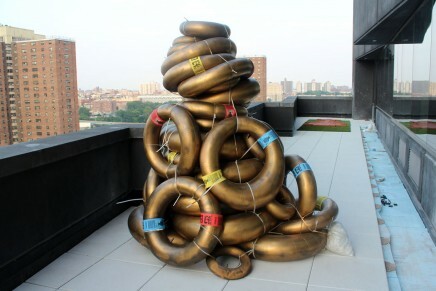 The Brooklyn-based artist has experienced a remarkable trajectory in the art world, building an impressive career over the past decade, punctuated with significant milestones. Perhaps her greatest achievement, “Origin of the Universe,” her first solo museum show, debuted at the Santa Monica Museum of Art and recently opened at the Brooklyn Museum. Thomas, who once painted abstracts, found her niche while still in school when she turned to more personal subject matter at the suggestion of an instructor. 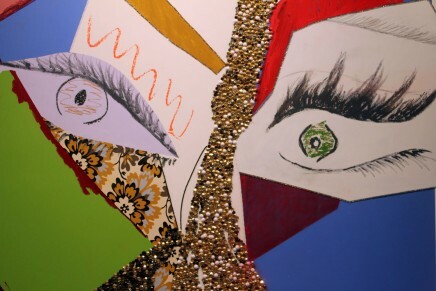 Her mother, a 1970s model who aspired to make a splash in the fashion world, became her muse, posing for photographs that her daughter used to inspire her canvases—fabulous mixed-media works that the artist finishes with a signature embellishment of rhinestones. 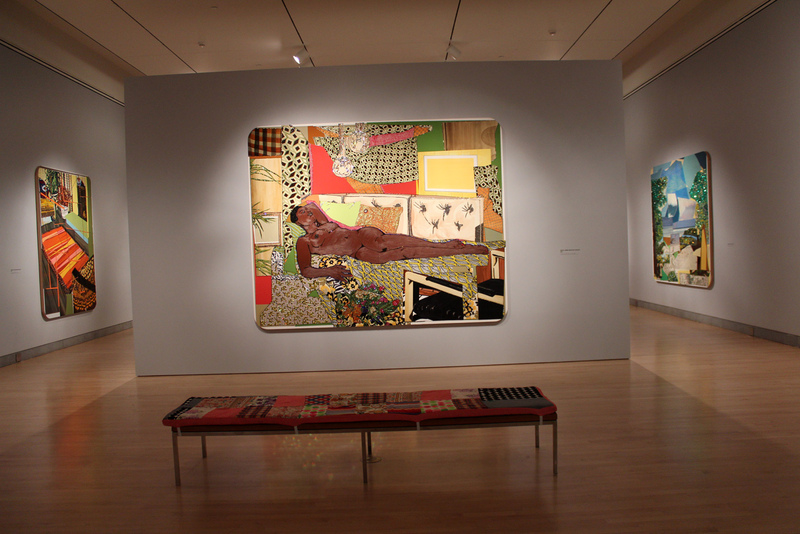 At center, “Tamika Sur Une Chaise Lounge Avec Monet,” 2012 (rhinestones, acrylic, oil and enamel on wood panel). Thomas also delved into filmmaking for the exhibit. A poignant short documentary starring her mother, Sandra Bush, in which she recounts her life, struggles with drug addiction and recent health issues, is one of the most artful works in the show. 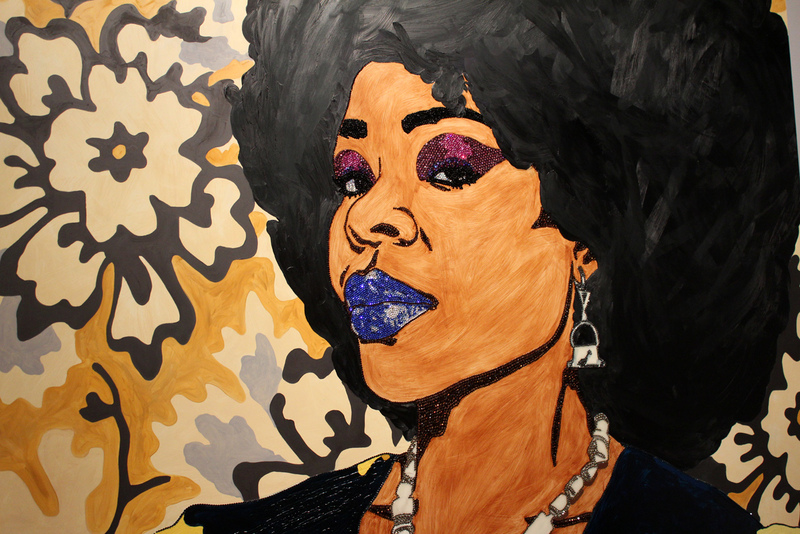 At the conclusion of the film, “Mama Bush” says while she had always dreamed of becoming a super model, because of her daughter’s success she has instead become a star in the art world. 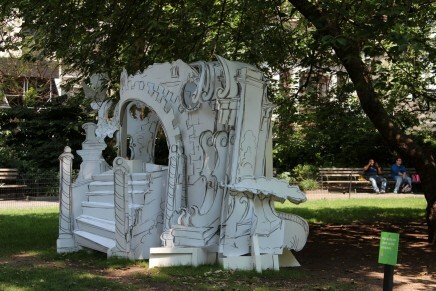 “Origin of the Universe” is on view at the Brooklyn Museum from Sept. 28, 2012 to Jan. 20, 2013. 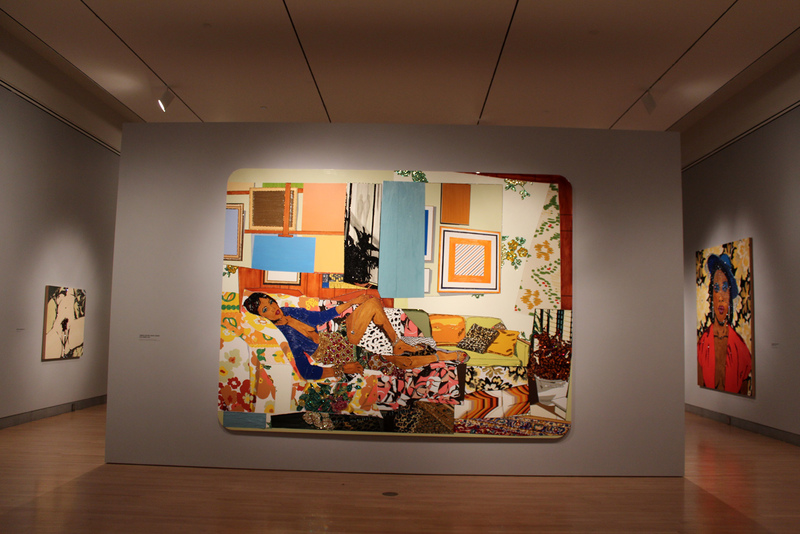 Read more about Thomas in “Mickalene Thomas: Origin of the Universe,” her first monograph, which was published to coincide with the museum show. 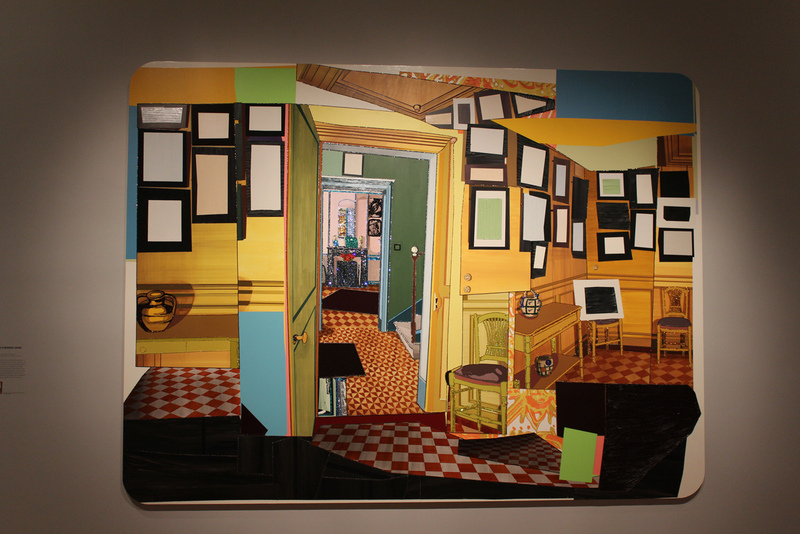 “Interior: Two Chairs and Fireplace,” 2011 (mixed-media collage). 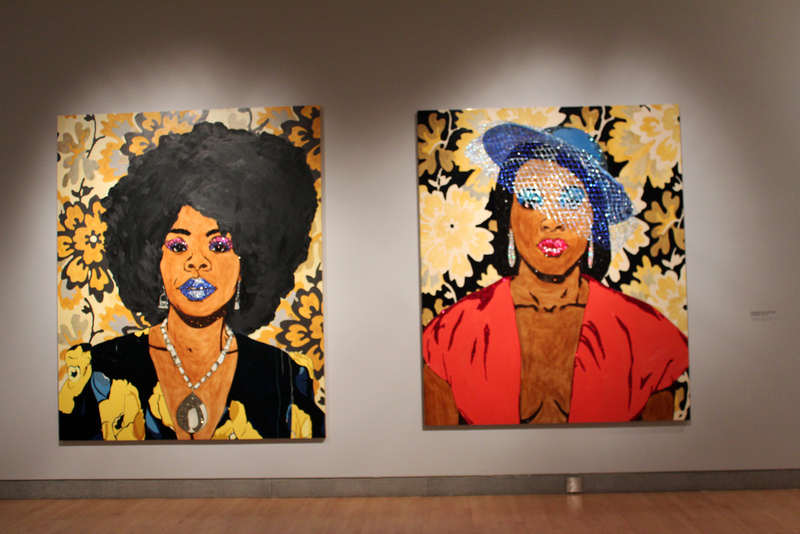 From left, “Din, Une Tres Belle Negresse 1,” 2011 (rhinestone, acrylic and oil on wood panel) and “Qusuquzah, une très belle négresse #2,” 2011–12 (rhinestones, acrylic, and oil on wood panel). 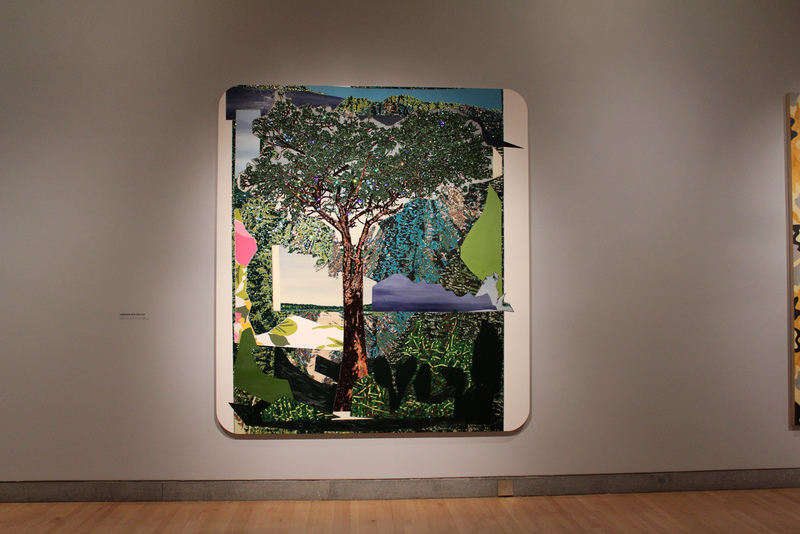 Thomas make small collages to help her work out the details of images for her larger canvases. 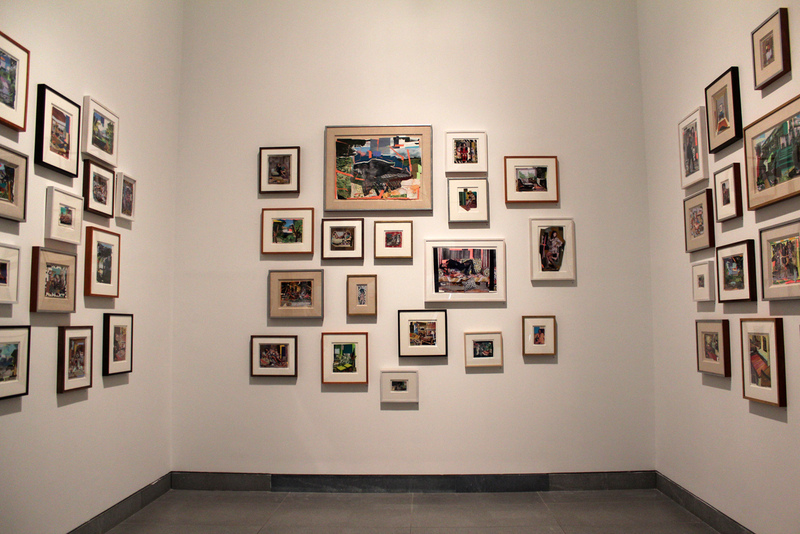 The exhibit includes a three-wall gallery of her collages. 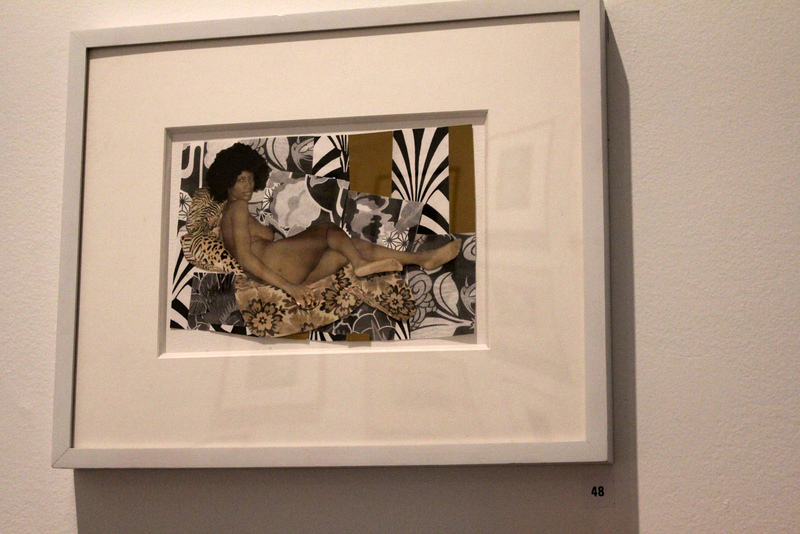 Collage study for “A Little Taste Outside of Love,” 2007. 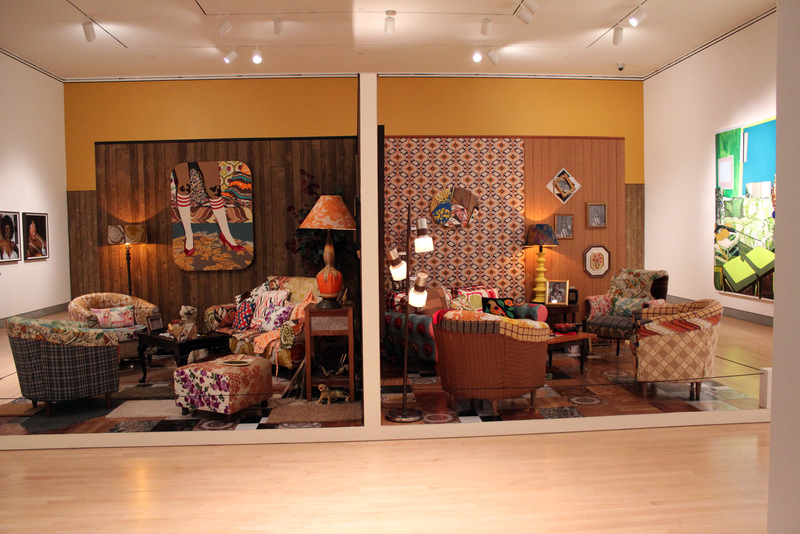 A gallery at the back of the exhibit includes four interior spaces designed like stage sets that have inspired Thomas’s interior studies. 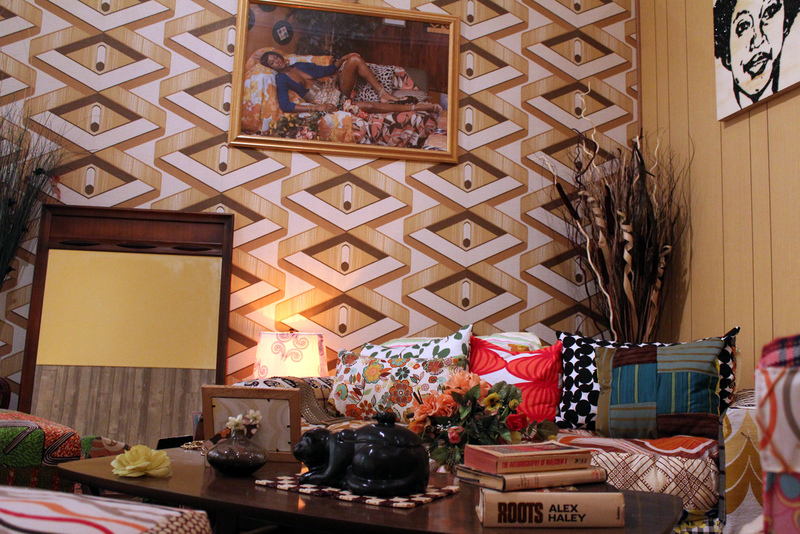 Thomas’s work, along with books such as “The Autobiography of Malcolm X” and “Roots” by Alex Haley, add context to the interior spaces. 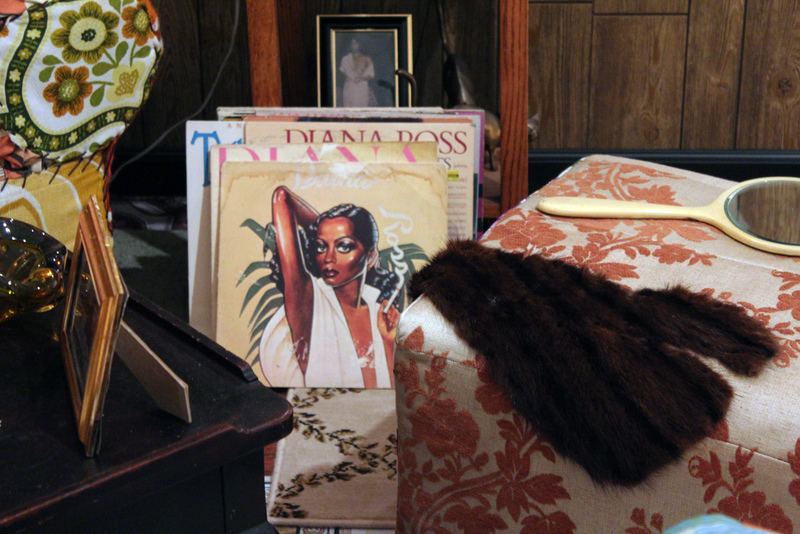 The interior spaces included in the exhibit include cultural artifacts such as this Diana Ross album cover and black literature. 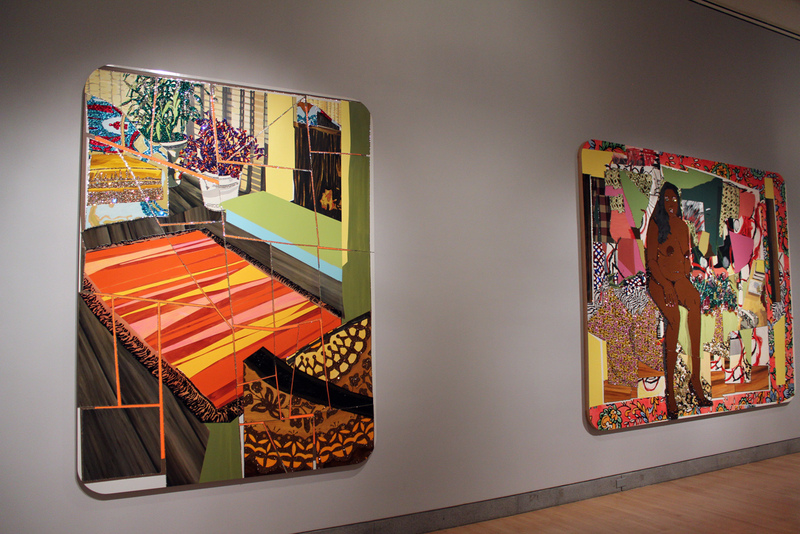 From left, “Sandra: She’s a Beauty,” 2009 and “Mama Bush: (Your Love Keeps Lifting Me) Higher and Higher,” 2009 (both chromogenic photographs). 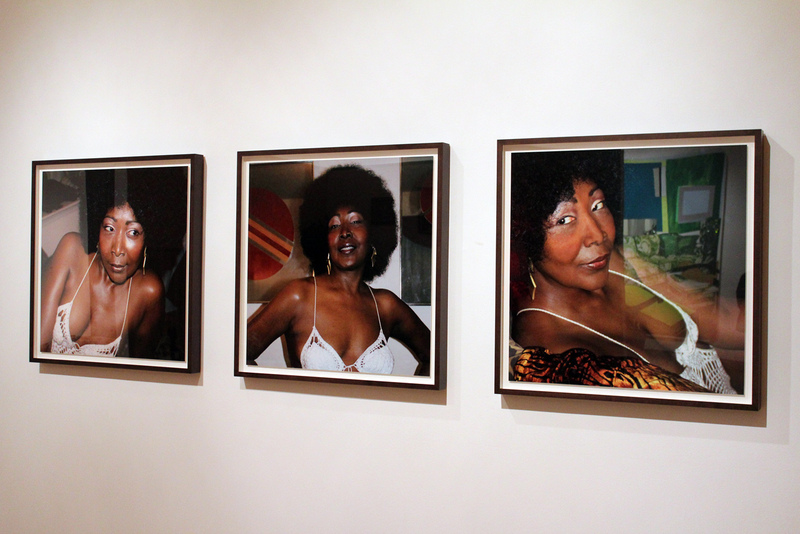 Photographs of Sandra Bush, the artist’s mother. 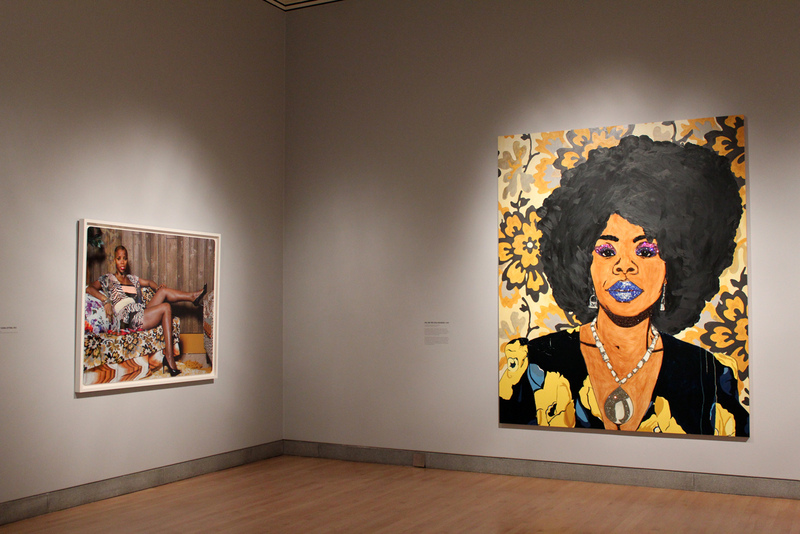 From left, “Portrait of Sidra Sitting,” 2012 (chromogenic print) and “Din, Une Tres Belle Negresse 1,” 2011 (rhinestone, acrylic and oil on wood panel). 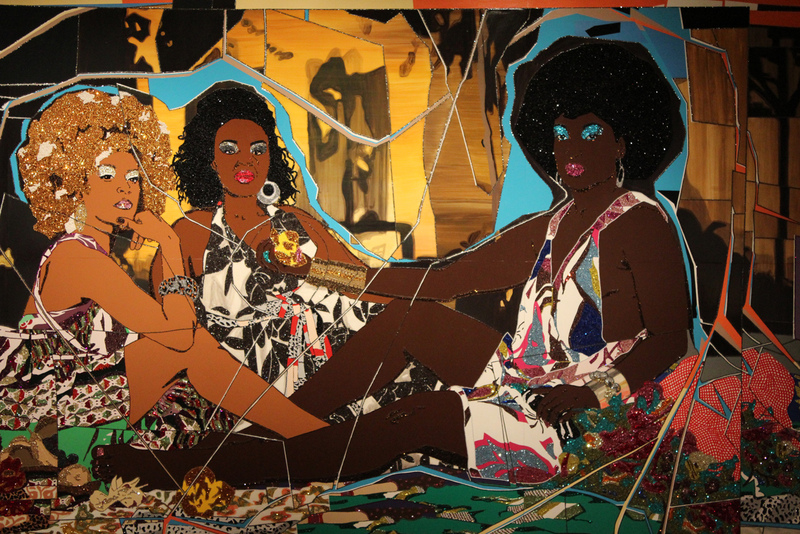 At center, “Marie: Femme Noire Nu Couchee,” 2012 (rhinestones, acrylic, oil and enamel on wood panel). Detail of “Le Dejeuner Sur L’Herbe: Les Trois Femme Noires,” 2010 (rhinestones, acrylic and enamel on wood panel), which was inspired by Manet.